Electricity is different as you travel the world, and China is no exception. However, it’s not as bad as it seems. China’s electricity setup is similar to Australia’s. They have the same 3 pin plug configuration, and 250V supply. Also, China seems to have adopted the European 2-pin configuration, so buildings seems to be equipped with both. With the UK having a 240V power supply it raises the question of whether you need a transformer. Well, the advice on the Web suggests that you don’t need a transformer, since there tends to be a distinct variance in actual voltage delivered to homes. And electric components are built to handle a variance of up to 6% up and 10% down. So that means an electrical device built for the UK market of 240V should be able to cope with 250V since it is only a 4% difference. 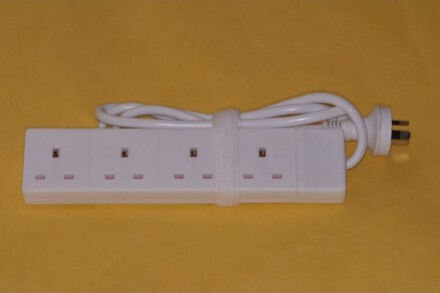 In my regular trips to South Africa (which has a different 3-pin plug configuration) I settled on the idea of taking a multi-adaptor (offering 4 UK plug sockets), and by attaching the adaptor to a UK-to-South African plug adaptor gave me enough plugs for my UK devices and only using one adaptor. Pretty neat. But, I found a better way for my China trip, an actual 3-plug UK socket using a Chinese/Australian plug. This is idea for travellers with multiple electic devices that need regular charging (e.g. laptop, tablet, smart phone). I found a merchant on Amazon called Traveldapter who specialise in these traveller-friendly multi-adaptors. Ideal for my gadget-laden colleagues who make regular trips to the US, and Japan, for example. But note, these are not transformers. You still need to acquire a transformer if you want to bridge the gap between the US-style 110V system and the UK-style 240V. So you do need to check each of your electrical devices to see that they can support both voltages. Devices with external bricks sometimes can handle both voltage levels. Electronic gadgets that plug directly in without going through a brick definitely need a transformer. This is one useful gadget to have. Update August 2013: The visa application process has changed slightly this year. There are two important bits: They only accept colour passport photos now, and you need to make photocopies of your passport and any previous Chinese visas. As always, the staff at the application office are very professional and considerate. Getting a tourist visa for visiting China is done through the China Visa Application Service Center. This centre is an intermediary between you and the Chinese Embassy. 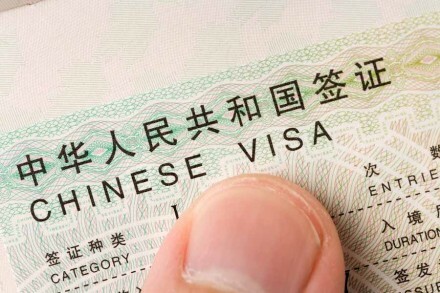 Only people dealing with higher-level visas, like special or diplomatic visas go directly to the Chinese Embassy. London has a China Visa Application centre adjacent to the Chinese Embassy at 12 Old Jewry Street, London, EC2R 8DU. This is within walking distance of Bank underground station, and Cannon Street national railway station. Fill in an application using their online application form. Book an appointment to submit your application form plus supporting documentation (including your passport). Return 3 working days later to pick up your passport containing the Visa, and make payment. This is the preferred route, and it is fairly straightforward. It asks you for personal details, current employment details, emergency contact people, and summary details of your major family (in my case, mother and father). You also need to provide details of the purpose of your visit, the contact details of where you are staying, and proof of that. And details of any people you are meeting in China. Proving that you are actually traveling to China can be done in one of two ways. The first way is confirmation of both flights and hotels that cover your stay. The second way is providing an invitation from either a China-based organisation or person to you to visit China. So you need to make a choice whether you want to take a risk in booking flights and hotels without a visa, in most cases these costs are non-refundable and non-changeable. In typical cases this is not a problem, but you do need to be aware that your visa application can be denied for reasonable reasons. After you have completed the online form, you can download it as a PDF and print it out. At this point you can book an appointment at the center to submit your application. However, you won’t be able to book a next-day appointment, but you can get one for the day after that. You chose half-hour slots starting from 9:00 in the morning through to 5:00 in the afternoon. When you walk into the Application center you ask for submitting an application for a visa and you get a ticket with a number and asked to wait in the seating area on the ground floor. It operates as a ticketing system, so you wait for your number to be called, and then proceed to the counter assigned to you. It is worth getting there earlier than your booked slot. Although the earliest slot starts at 9:00, arriving just after 08:30 means you are near the top of the ticketting system and likely to be assigned a counter just after their 9am start. The process is actually very smooth. You hand over the application form, supporting documentation, your passport photo and your passport. A clerk checks through your application form and adds some notes. You also have to sign an agreement that you will pay for the application when you pick up your passport, and that the Chinese Embassy can reject your application for any basis they consider reasonable. When she is satisfied with your application you get a confirmation note which details when you can come back to pick up your passport. This is typically 3 working days later. The whole process takes about 10 minutes. The staff are very professional, efficient and friendly. Note that they do keep your passport, because the visa is added to your passport. So make sure you have a full blank page free for it. You return to the Visa Application Centre on the date specified on the confirmation note. But returning a day later wasn’t a problem. This time when you return, with your confirmation note, you mention you are picking up your passport. You are then issued with a ticket (but on a different queue to the application process), and directed downstairs to the basement. This collection process is a two-step process. So your number gets called twice. The second call is to collect your passport. You are asked to confirm this is indeed your passport. And then given an explanation of the visa details itself, this should match what you’ve requested in your application. The collection process is very quick. I spent less than 5 minutes on the payment counter, and I sat down for about a minute to collect my passport. I was in and out of the Visa Application centre in about 20 minutes. Most of that was waiting for my ticket to be called the first time. Neither days was busy, but I was there before 9:30 on both days.